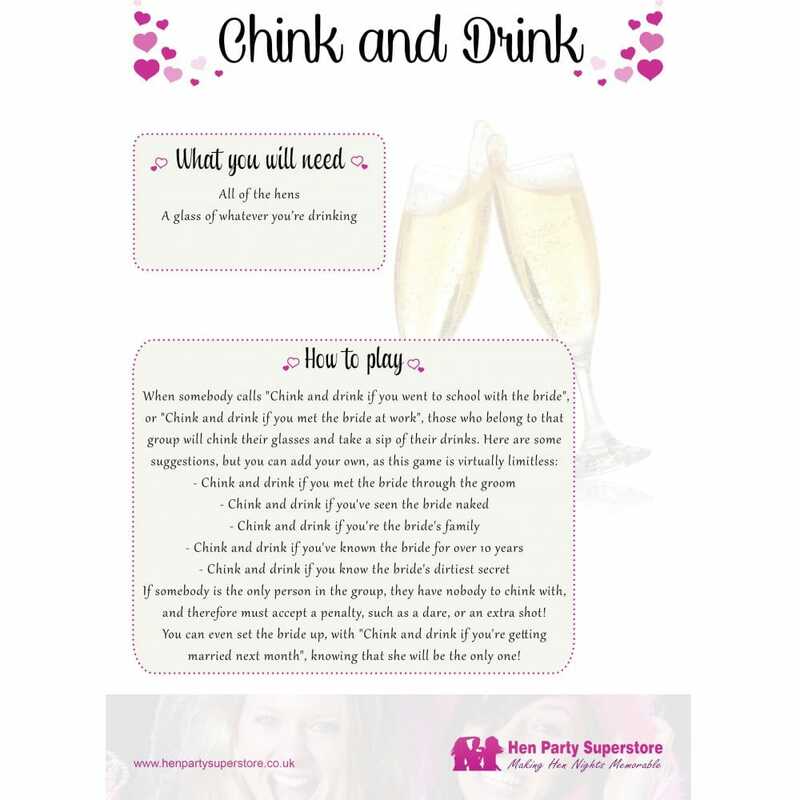 For an easy and fun way to get to know everybody at the party, Chink & Drink is a fantastic ice-breaker game. There are times where you won't necessarily know every single person at the party, so in order to create a more comfortable mood, Chink & Drink is there to save the day. Simply chink your glasses and sip your drinks after every statement that you can agree with. For example, if somebody calls 'Chink and drink if you went to school with the Bride', you chink and drink if you fall into this category. Cheers!